I was very pleased and impressed by the level of service I received from Blake McCullough from the start. I visited the Vivint booth during the Home Renovations trade show at the BMO looking for information on a security system that would be scalable as my needs changed. I booked an in-home consultation right then and there and the whole process from that point on was seamless. I received reminders of my appointment with Blake including a personal test from Blake confirming his visit. It turned out that I was running late and Blake was very accommodating. Blake went above and beyond during our discussions, looking at options on how what I needed could be done through Vivint. 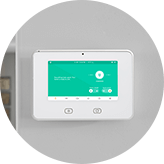 Once I decided to proceed with installing Vivint’s house security (with planning to expand it), the installation process was also without any issues. The technician was polite and was even able to work around the messy clutter in my basement! Blake even sent me a follow up shortly after my installation ✨✨ as he was on vacation in Europe ✨✨ Above and beyond indeed!! Since my install, I’ve had 3 false alarms, trigger by me as I forgot I had the alarm on 🤦‍♀️ When I called to make sure no emergency services had been dispatched, I was greeted with professionalism and a friendly service. Sincere thanks to the team at Vivint!! Especially Blake McCullough!! Very pleased with Vivint - love the capabilities of managing my home from my smart phone. Great service from the sales rep, techs and everyone that I have dealt with. Would totally recommend for anyone who is looking for a great security system to work well with your smart phone. I decided to get a home security system. I researched different companies and talked to friends that had them. I saw all the great reviews on Vivint and decided to get a quote. Jonah came to my home & asked me what I wanted from the system. I never felt pressured & I felt the cost was reasonable. He explained how everything would work & I made the decision to proceed. Kenneth came & installed the system and explained how to use it. It was all very straight forward. I have had it for a week now and have had no issues & it has given me a little piece of mind. Jonah even followed up to see if everything was going well. Thank you so much, I would highly recommend it to anyone. 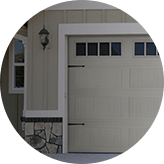 Great service, quick installation, easy to get in contact with and they are always following up to ensure you are happy with their service or answer any questions you may have. The system is easy to use, especially from a mobile device. I would recommend them to my family and friends. Great customer service & quick installation! Loved the guy who installed and set it up! Super informative and really great working around my family and kids! Real nice guys to deal with right from sales to the tech. The tech was very knowledgeable and system works awesome! Fast and easy from start to finish. The install went quickly and very smoothly. The equipment is state of the art and I'm very happy I made the switch from my old alarm service provider. Between Blake and Ben everything was taken care of in a timely and professional manner. No one was pushy through the sales process and the installation was not disruptive at all. Since having the system install everything is working great and the support has helped to ease the learning curve. Have already called to add additional devices to my system. Excellent experience. The sales rep was knowledgeable and polite - I only have to pay for the equipment I want, not a package full of things I don't need. Installation was later the same day and it was fast and painless. I highly recommend you check these guys out if you're in the market for a new home security system. The sales associate was extremely helpful in explaining all of their products and available options. They came to do the installation the next day. I would have to say this is one of the best systems I've used and everyone (from the sales to the technician) was so friendly and helpful. Would recommend. Wonderful Company to work with. They were informative, helpful and quick! Customer service is great, they are very helpful when needed. The quick response to my inquiry and the even faster install was fantastic. I have received excellent support from Joel and the team! If you need a security system call these guys! I had a security/home automation system installed through Vivint Calgary. The installation was very professional, and I was very impressed with their follow up after the equipment was installed. They ensured I was completely satisfied, and help with any small issues I had with the system very promptly. Highly recommend! We had an excellent experience with the Vivant team! The app works great to secure the house no matter where we are. Prompt and professional installation. Thanks guys! I had a few issues and called Vivint with two days a tech was at my house and fixed my problem. This is not the first time Vivint has been prompt on there service. The tech was great knew his stuff and explained it very well on what was wrong and how it was fixed. He then asked if I needed anything else. I ask for a light for the Vivint sign and he gave me one. It’s the little things. Great service and experience. 5 stars. My installation with Vivint was glitch free from beginning to end! They were courteous and polite, very knowledgeable and walked us through the entire process. I love my new home security system. I feel more confident that my family and my home are secure. It was so easy to work with them. Everything was done in 2 days. Works great! And the technical support was extremely pleasant and helpful. We are super happy with our system!! Love the App!! Great salespeople and great installers! So happy with my new security system. It is simple and easy to use. Love the ability to turn it on/off and open locks with my phone! The team have been very helpful. The installer really knew her stuff and made sure we were happy with the plan we'd chosen and would cover my family's needs, before she even unloaded one tool. No false alarms, which we had routinely with our last company. This is a very good service. I have always had great interactions with people both on the telephone and in person with the technicians. We have had our system for about 5 years and will continue to do so. The service technician was knowledgeable and worked quickly. The equipment has worked without issue since it was installed a few months ago. The cost is reasonable. Great experience from start to finish and I love my security system. After submitting a request online I received a phone call from a rep right away. We booked a time for a consultation that was convenient for me. After the consult the installer was booked for the next day and my security system was installed. Professional and curtious staff from beginning to end. The system is easy to use the mobile app works very well. The Installer was very professional and Knowledgeable, The system is super easy to use and helps ease you mind when your away from the house. I would recommend this product to my friends and family. Vivint always responds quickly to my inquiries and concerns, and their customer service reps and technicians are top notch. I feel like I'm in good hands. Been with them for years, and plan to be for many more. Have had a great experience purchasing/using my Vivint home alarm system. Knowledgeable sales staff, installation was done with ease. I can control from my tablet - am especially enjoying unlocking my front door from my tablet as I have a 3 storey house and stairs are not always easy. Would definitely recommend this home alarm system. Have been with Vivint for a few years now. They are great. Super attentive and the technicians are always good. Really happy with the service we get from them and would recommend them to anyone. All of our experiences with Vivint so far have been great, including all telephone help as well as our rep who set us up. Everyone is very professional but also relaxed and helpful. Glad we made the decision to join Vivint. 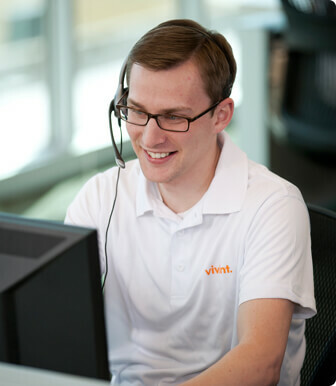 Vivint is reliable and offers friendly customer service. In the event when equipment malfunctions, they offer immediate support and help me schedule a time for a technician to come when it's convenient for me. Even better, all the information and tools I need are available online. I LOVE having the ability to control my home from my smartphone or computer - I can lock my front door from work, check my cameras to see who is at my front door, and check on my dogs while I'm out. There are step by step instructions on their website on how to troubleshoot my equipment. Vivint was incredibly helpful helping us choose what equipment suited our needs, home and lifestyle best. We were never upsold on things we didn't need, and I feel safer in my home. Vivint service is exceptional. I recently upgraded the panel and Joey arrived and converted all the cameras and attachments to the new panel without fuss or confusion. This was a long task as I have a lot of Z-wave switches. :-) In the process we missed one so I rang the helpdesk and they walked me through the addition process over the phone. Everyone has been friendly, knowledgeable and helpful. Top class company. Jonah (sales) was very knowledgeable and experienced with Vivint. He was warm & funny and walked us through the process in a lot of detail. The installation by James was efficient & well done. 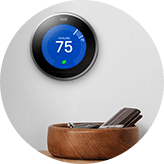 So far, we're very happy with the whole system and the team at Vivint & would highly recommend them! Although it took a little time to get completely set up, our Vivint installer was patient with my questions, troubleshot his concerns with our current wiring, and helped us to understand the WHY of his every action. And he took the time to make sure we knew how to work and program the system before leaving us alone to it. I love that our security system is easily managed from my phone. This alarm company is knowledgeable, helpful, and especially patient with someone who doesn't have much experience with the ins and outs of alarm systems. Also they are on the cutting edge of the newest technologies. I'm very happy. Was fast and easy to sign up. Installation was trouble free. When we had an issue with a component support sorted it out quickly and a service tech came and fixed all the issues. Quick and easy. We were told by other security company's that the install would be within a couple weeks. Vivint did it the same day on a saturday. Great customer service over the phone as well! We met Jonah at the Fall Home Show and he was really great right of the bat. We signed up to have him come to our home and decide on a plan. He was even able to accommodate my crazy schedule (9 pm!). The system has been running well and I really feel better both in and away from home, being able to control everything from my phone. Vivint products are awesome, full home automation. Chris my sales rep was thorough and actually made me want to ditch my old security system and upgrade to the system for basically the same price. The installers were great and I have never had a problem with their system unlike my old one. Highly recommended them to anyone. 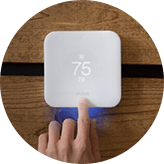 I had a great experience with Vivint from initial consultation to sign up and installation. We first met with Chris and he walked us through all the products offered and he did a walk through of our house. While he made suggestions, I never felt pressure to purchase certain services or products. Chris was thorough in explaining how the products worked. Once we chose what would work for us we had it installed the next day. A technician came over and installed everything we had ordered. He was quick and cleaned up everything. He showed us how to use our panel and helped us set up the apps on our phones. He didn't leave until we were comfortable with the product. 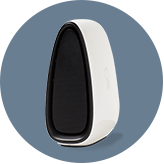 The product and service is fairly priced and has a great warranty. My father signed up for Vivint roughly 4-5 years ago in Edmonton. They provide top notch service and have great products! We have been very vocal in letting our family and friends know about Vivint, and have even purchased more systems with the rental properties my family and friends own in Calgary. I'm very glad that we signed up with Vivint, the system itself makes us feel safe with the added security feature. The salesman (Gehan), was very friendly and made sure the whole installation process was smooth. He's even called us months later to make sure we are satisfied with their products and service. I would highly recommend Vivint. Fantastic service with friendly and knowledgeable representatives. I had contacted other security firms in Calgary and not one of them responded. The Vivint rep, Lukas, was very customer oriented. I did not have free time to discuss the services being offered, but he agreed to meet the next day. He completed the sale and his colleague arrived almost immediately and installed the system and had it working flawlessly that afternoon. Very impressive service! Get a free quote now on your home alarm system. Call 403.879.2219 or fill out the form below to get a free quote. Vivint service is exceptional. I recently upgraded the panel and Joey arrived and converted all the cameras and attachments to the new panel without fuss or confusion. This was a long task as I have a lot of Z-wave switches. 🙂 In the process we missed one so I rang the helpdesk and they walked me through the addition process over the phone. Everyone has been friendly, knowledgeable and helpful. Top class company. Take your home security to the next level with Calgary Vivint state of the art wireless setup. With 24/7 continuous video recording, your home will be protected at all hours of the day, even while you are away. Our home security system surveillance has never been easier with our new automated features. Clearly see who's at your front door day or night. Displays video, controls temperature, manages system options, and more. 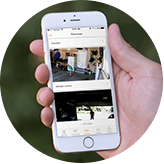 Store, search and share all your photos right from the Space Monkey app. "Never lose a moment with SPACEMONKEY"
Access your photos and files from anywhere on all your devices. 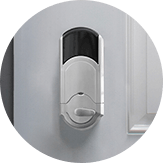 Wireless sensors secure your home by alerting you of any forced entry. 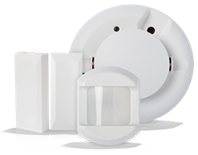 Why Vivint is the Best Choice for Home Security Systems in Calgary and Surrounding Areas. For the best in home alarm systems, our local Calgary Vivint office is the trusted choice for home surveillance. With easy to use mobile and home control systems, you can easily control your home security at the touch of a button. Protect your residence from intruders and give your family peace of mind with expert help from Vivint. 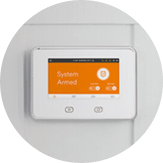 We are the authorized Vivint Calgary division, providing homeowners with security systems to protect their belongings and keep their loved ones safe. 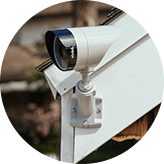 Our home security systems give you the freedom to check on your home regardless of where you are. 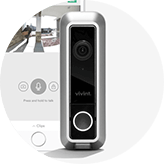 From smart locks, outdoor cameras, and burglary detections, Vivint gives you complete control of your home to keep it secure. You’ll receive alerts and notifications if motion is detected on your property. 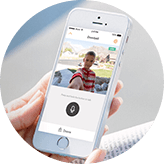 Stay connected to your home security system with the Vivint App. This revolutionary technology will give you mobile control for your home with the touch of a button. The Vivint Sky App gives you the freedom to enable or disable your system remotely. You can even turn off your light, lock your front door and adjust the temperature of your home. 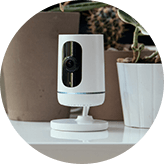 Talk to an expert at Vivint Calgary today to get setup with your new home security system. Vivint offers 24/7 monitoring and support to provide assistance whenever an emergency strikes. Receive peace of mind knowing that your home is protected with our automated home security system. 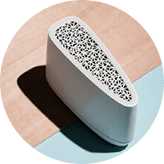 to help you customize a system for your home. •We respect privacy and will never share or sell your information. Would you like to be emailed some general info to review later?